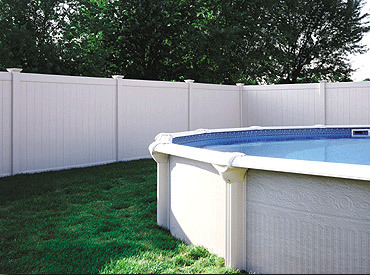 Vinyl Privacy Fence Styles - Suitable for use in high wind areas. 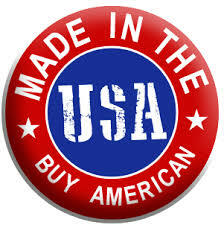 Our most popular style, provides complete privacy and security for your property. Tongue and groove picket construction provides added strength. Classic styling with dependable performance. 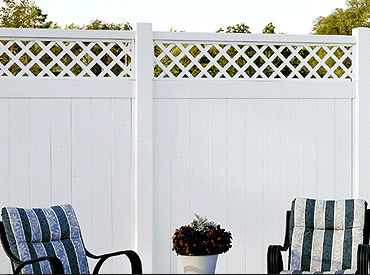 Top lattice accent, available in various lattice styles, provides privacy and security with a touch of elegance. Tongue and groove picket construction provides added strength. 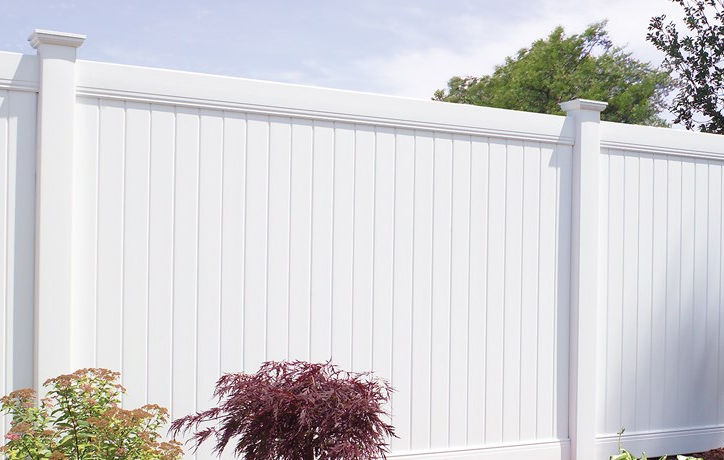 Another of our most popular style, provides complete privacy and security for your property with a touch of elegance. 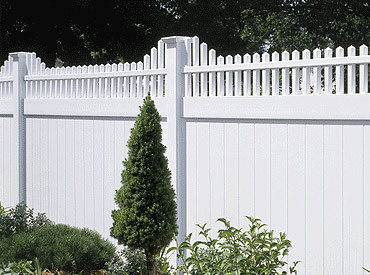 Tongue and groove picket construction provides added strength. 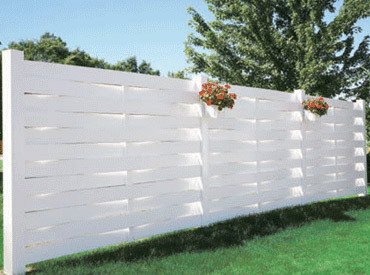 This full privacy fence features a basketweave construction.